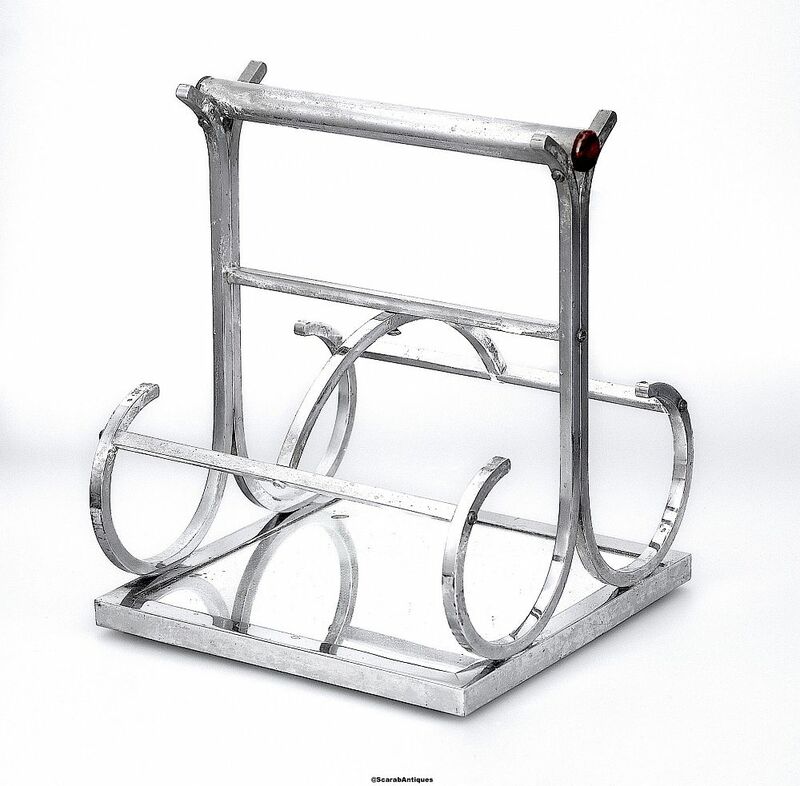 Jacques Adnet items are always very stylish and this is no exception. Made in France during the Art Deco period, the square chrome framed mirrored glass supports scrolling arms leading to a cylindrical wooden ended handle. There are chrome cross bars between the arms.